At Drs. Rossetti, Myers, & Kondorossy, we want to help each of our patients love their smiles. If you’re ready to enjoy your best smile, dental veneers could be the option you’re looking for. Simple and designed to look like natural teeth, they are used to treat a variety of dental issues. These thin covers, usually made of porcelain, are adhered to your prepared teeth in order to improve their shape and/or protect them from damage. 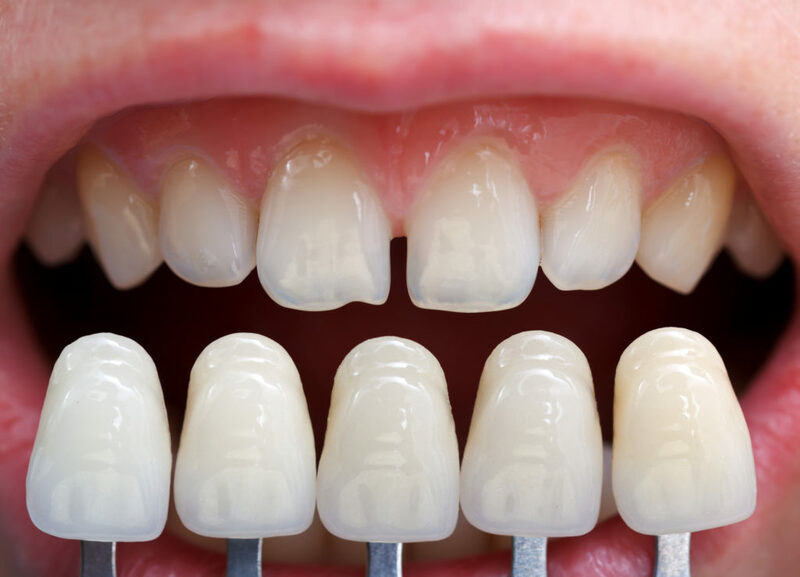 Veneers cover all imperfections of your teeth, creating a perfect smile. Schedule Your Dental Veneers Consultation With Dr. Rossetti Today! If you have questions about veneers, tooth pain, or any other services Drs. Rossetti, Myers, & Kondorossy offers, give our Richmond dental office a call. A free cosmetic dentistry consultation with Dr. Rossetti at our Richmond dental office is the perfect way to see which solution is the best for your smile.